Commercial & Residential Construction - Fall Line Contractors, Inc.
Our mission is to approach every job with extraordinary excellence and no excuses. Creating solutions and delivering results which provide peace of mind and no worries. Imagine these real results while still furthering the mission of our non-profit affiliates who strive to add value. 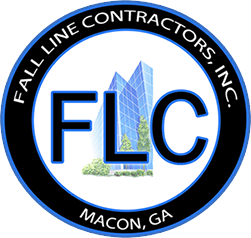 "I have had the opportunity to utilize Fall Line Construction, Inc. on several important property accounts. Fall Line’s staff has been honest, on time, and extremely professional. Best of all, Fall-Line is very easy to deal with and always offers a very competitive price. I highly recommend Fall-Line for any construction job, large or small!"